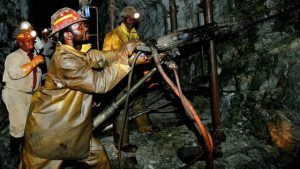 Standard & Poor’s (S&P) rating agency has affirmed AngloGold Ashanti’s BB long-term corporate credit rating and revised the outlook to stable from negative. S&P cited the reduction in debt and increasing local currency gold prices as reasons for the increase in earnings, cash flows, liquidity, and credit metrics for AngloGold Ashanti Ltd. The stable outlook reflects S&P’s expectation that AngloGold Ashanti can maintain core credit metrics at the higher end of their intermediate category. S&P further raised the short-term national scale rating to ‘zaA-1’ from ‘zaA-2’ and their long-term national scale rating on the subordinated medium-term note program to ‘zaA-‘ from ‘zaBBB ‘.